Happy 155th birthday to London’s iconic Tube! 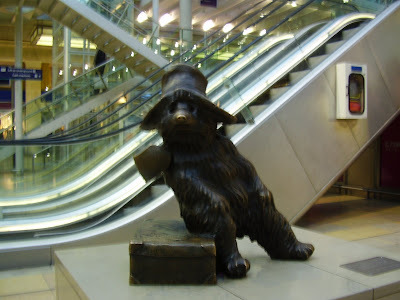 The first section, from Paddington to Farringdon via Baker Street and King’s Cross, opened on this day in 1863 after a huge engineering effort to build new tunnels under Victorian London. 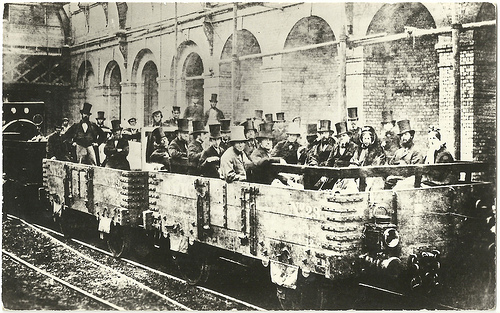 On 10th January 1863 London’s first underground train pulled out of Paddington station to make the first passenger journey – 3½-miles under the streets of London from Paddington to Farringdon and into the record books. 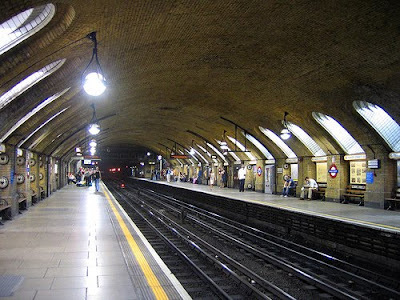 The Tube (as it is colloquially known, but strictly this refers to the deep bored lines, not the cut and cover lines such as the Circle Line) is a great cause for celebration; it is the glue which makes London possible and it was the template for every other Metro system . As its original opening in date in June 1862 was delayed by the River Fleet bursting its banks and unfortunately this means the oft repeated claim that it is the first underground railway is wrong, although there is a debate if short funiculars with no intermediate stops constitute an underground railway? Whilst the journey on London’s Underground on 10th January 1863 is often described as the “world’s first underground train” this descriptor is not strictly true. This historic title really belongs to the “Ficelle” of Lyon, an underground funicular railway which operated from 1862 to 1968. The first of five lines in the hilly city of Lyon it opened in 1862 and linked Rue Terme and Boulevard de la Croix Rousse. The funicular was closed and converted to a road tunnel in 1968 in tandem with the expansion of the Lyon Metro. The “Ficelle” (literally the string, after the traction cable the carriages hooked onto) was also the first underground railway in the world opening in June 1862 thereby predating the London Underground which opened in January 1863. While a funicular is not a metro this underground railway was unarguably an underground passenger train service. To see what it was like you have to travel to Istanbul to see the underground Tünel dating from 1875 which is the oldest extant underground in Continental Europe and the second oldest extant underground in the world. It was designed by French engineers and modeled on the Ficelle of Lyon. Lyon – La Ficelle de la Rue Terme – The first underground railway and the first of Lyons five funiculars. 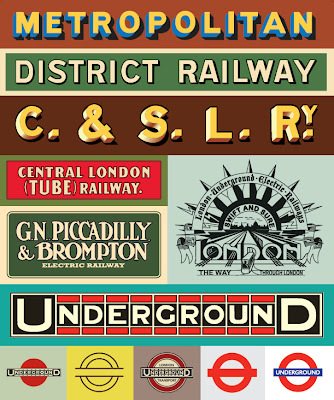 However what is also unarguable is that the London Underground was the first Metro with multiple stations and every underground railway and Rapid Transit System since is modeled on it in some way – indeed the very word “Metro” is a contraction of the name of the company which set up this railway. The original Underground line was built and financed by the Metropolitan Railway, a private company which had been formed in 1854 to undertake the project to link the mainline stations at Paddington, Euston and King’s Cross with the City centre business district to the east. 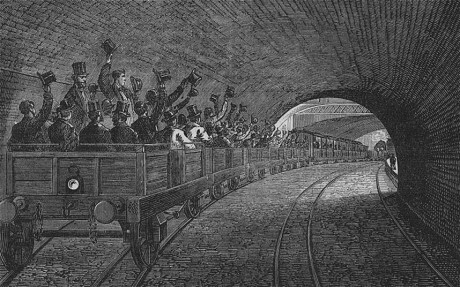 This subterranean railway was a novelty that thousands of Londoners were eager to experience for themselves and to admire what one newspaper called ‘the most stupendous engineering undertaking yet achieved in the railway world’. Victorian London was the first Mega City of the modern world, the first city with over a million inhabitants since Ancient Rome, and it had big problems with water, sewage, housing, public health, education and air pollution – sounds familiar? London faced these problems and the London you see today is largely the London shaped by the Victorian’s innovative engineering and social responses to these issues. The London where you can still find the remains (often in new uses) of the public markets and baths, the health clinics and police stations and the lofty high ceilinged schools built to cope with universal education. The hospitals, sports grounds, public clinics and great parks designed to make the inhabitants and their environment healthier. Appalling housing conditions were addressed by charities such as the Peabody, Carnegie and Iveagh Trusts who built swathes of housing for the “working classes” and whose role was taken over with some distinction by the London County Council which strove to build homes “fit for heroes” after World War I. In health the provision of reservoirs, sewerage treatment plants and the London Ring Main by Sir Joseph Balzegette was a work of heroic proportions which led to the building of the embankments along the Thames and the “New Road” (Now Marylebone & Euston Roads) north of the city under which the Circle Line was to run. And in the 13 mainline railway termini and the world’s first underground railway you will find the arteries which keep the heart of this great city beating. The success of the railways into London created another problem as they brought thousands into the city each day but because of the cost and disruption they were built some way out from the “City” with only Fenchurch Street built within the “square mile” of the City of London. Charles Pearson, Solicitor to the Corporation was an early advocate of a railway into the city and the terrible slums of Clerkenwell along the valley of the river Fleet being rebuilt in the process. Chaos and congestion grew in the central area until in 1854 an Act of Parliament was passed for a 3 ½ mile underground line from Paddington to Farringdon Street with seven stations. It took another 5 years for the finances of 1 million pounds to be raised with Charles Pearson convincing the Corporation to contribute 200,000 and the GWR at Paddington contributing 185,000 as they were anxious to connect their (then) remote terminus at Paddington to the City. 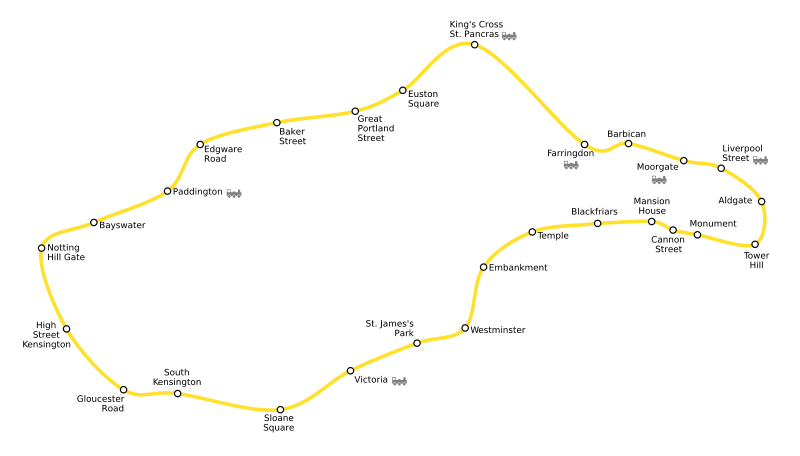 For this they won the right to double gauge the track to their broad gauge standard so there were initially 3 rails on each track and won the contract to operate the service. John Fowler was appointed engineer and John Hargreaves Stevens Architect for the project which was anything but smooth. As the line neared completion in June 1862 the Fleet sewer, which had been diverted into a brick culvert, burst near Farringdon and flooded the line back to Kings Cross to a depth of ten feet. The railway was also dogged by funding problems due to the delays and the Crimean War which was then taking place. 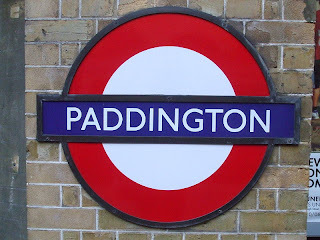 Eventually the London Underground opened to passengers from Paddington to Farringdon on 10 January 1863. A second underground line, the District, began operating five years later. The two were eventually linked to create the Circle line in 1884. The early underground was a huge engineering achievement and very well used, but had one big disadvantage. Its steam locomotives created a permanent sulfurous fug in the stations and tunnels. 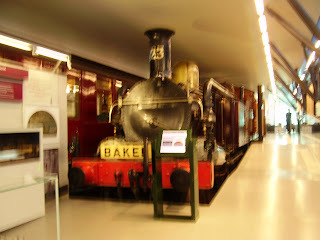 In London’s Transport Museum in Covent Garden you can still see the only surviving locomotive from the world’s first underground railway. These locomotives had condensing apparatus added to adapt them for use underground, not that it was too successful judging by contemporary accounts of the smoke filled platforms and trains. The engine displayed, No.23, was built in 1866 by Beyer, Peacock of Manchester to haul passenger trains. 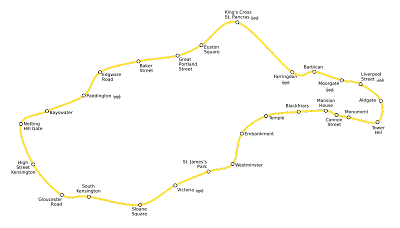 After electrification of the sub-surface lines in 1905 it was used on goods trains and on the Brill branch in rural Buckinghamshire. It was finally withdrawn in 1948 and restored to its 1903 condition for the Underground centenary celebrations in 1963. The original Metropolitan Railway terminated at Bishop’s Road, Paddington, adjacent to the Great Western Railway terminus, but in June 1864 the line was extended to Hammersmith to accommodate the broad gauge trains operated by the Great Western Railway in the 19th century. At the eastern end, a service opened beyond Liverpool Street to Whitechapel in October 1884 at the same time as the completion of the Circle. Trains have run on from Whitechapel to Barking over District line tracks since 1936. Today, the network covers 408 kilometres, with 11 lines running through 270 stations. And despite every major city in the world now having its own metro system, London’s is still the second-longest (Shanghai’s is first). On 10 January 1863, the first day the London Underground opened, 50,000 people queued for tickets but just over half that number are able to travel. Despite The Times claiming it’s ‘an insult to common sense’ that people would want to travel ‘through the foul subsoil of London’, an average of 26,000 people per day used the steam-operated service in its first six months. Today London would be unimaginable (and simply would not work as a City) without the london Underground and this “insult to common sense ” which is used by 1.37 Billion Passengers a year and on its busiest day ever (during the 2012 London Olympics) recorded 4.4 million passenger journeys in one day. It is the template for every other metro system in the world and one of the world’s most recognised brands. 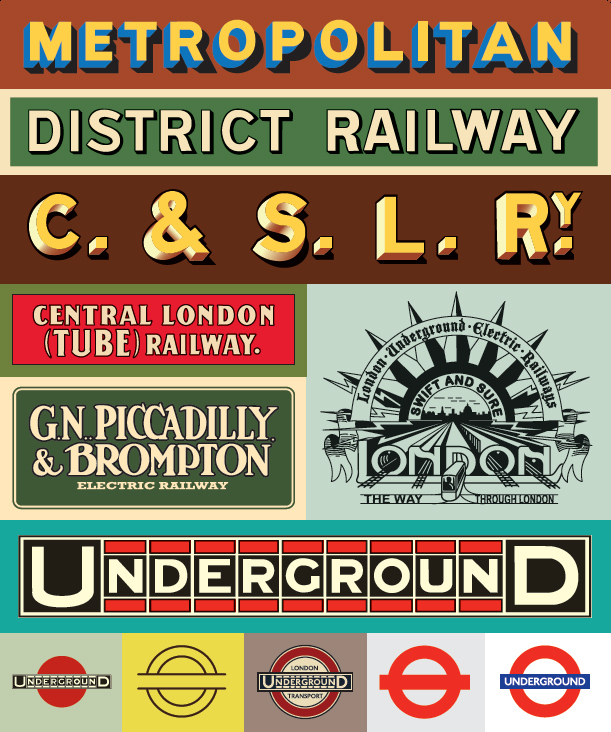 So, today, let’s say it loud, let’s say it proud, Happy 155th Birthday London Underground!